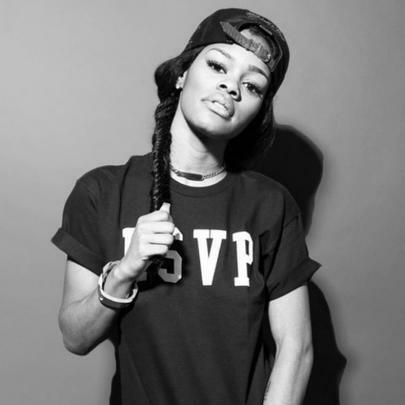 With what started as an appearance on MTV’s “My Super Sweet 16”, Teyana Taylor’s career has certainly taken off since then. Her commercial debut single “Google Me” was released in 2008, as the lead single from her mixtape “From A Planet Called Harlem.” Her second mixtape, “The Misunderstanding of Teyana Taylor” was released in early 2012 and was received well. Since then, Taylor has dabbled in acting, making appearances in movies like “Stomp The Yard” 1 and 2. Taylor also worked with Kanye West, providing vocals on his album “My Beautiful Dark Twisted Fantasy.” In 2012, Taylor joined forces with West’s label GOOD Music and The Island Def Jam Group. She has also collaborated with John Legend, R.Kelly, Wale and others. Taylor is currently working on her debut album. Taylor helped choreograph the music video for “Ring the Alarm” by Beyonce. She started out being signed to Star Trak Entertainment by producer Pharrell Williams.